But you don’t have to be an American for All-Clad to steal your heart (or your kitchen) - especially when it comes to their Non-Stick cookware collection. With layers of 18/10 stainless steel, an aluminium core and magnetised stainless steel, the Non-stick range features a PFOA-free non-stick coating that allows for easy release and an easy clean-up afterward. Oh, and it’s totally dishwasher safe! 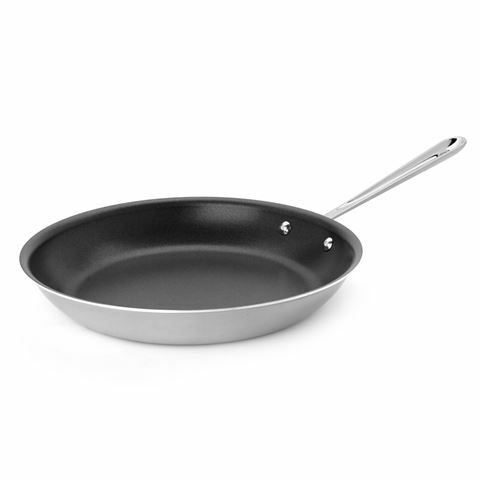 Non-stick interior is free from chemicals, and allows for an excellent release, durability and clean-up.